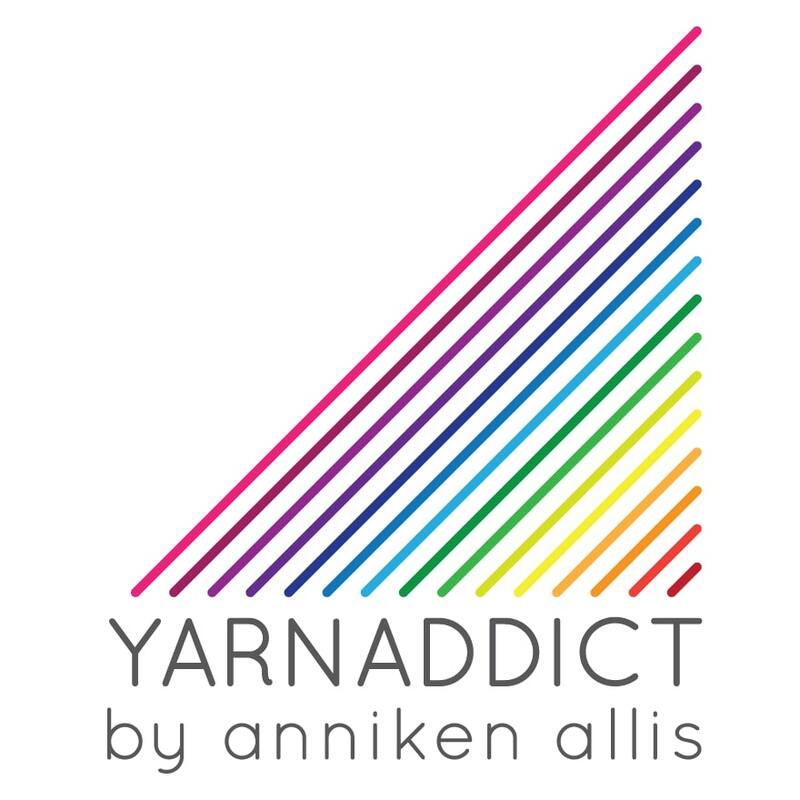 Confessions of a YarnAddict: Taliah! I've had another design published in Let's Knit magazine. It's a lace shawl called Taliah. There is a small picture of it on the cover which is exciting as it's the first time my design has been on the front of a mag although it's not the main cover design. The shawl is worked in YarnAddict Silky Merino Lace and I've got this colourway (which I've named 'Taliah') in hte shop right now. And I've got more colourways to come tomorrow. You can see all the Silky Merino Lace yarns here. A big thank you to Pixie who knitted up the sample for me. This is my favorite and there are some gorgeous colours in there. I've already earmarked a skein of Angel Lace for myself. These yarns will be on the website tomorrow. I couldn't believe it today when I woke up to glorious sunshine. I quickly got the yarn out on the line and doesn't it look good the way it glistens in the sunshine. Yesterday it was miserable - thick fog and rain. I took Simon's car to the garage in the morning and walked home and then had to walk back in the afternoon to pick it up. It's not a long walk, just 15 mins but I struggled because my back was so bad and with the rain I just felt really miserable and I was thinking I hate living here in Cornwall. I love this area and I love my friends but I hate the Cornish weather. I love the Spanish weather and I could easily see myself living there. However Simon would hate living somewhere hot so I guess we are stuck here. Feel better today as it's sunny. I've spent a little time today changing some stuff on the website, mainly the front page. I wanted some pics on the front page. I may change the pictures soon but at hte moment these were the best pics I had. That may change tomorrow when I photograph the new yarn. Take a look and let me know what you think. Taliah, looks great first time I think I have seen it all blocked.. gave I have photos pretty please to add to Ravelry :) and congrats on it being on the front cover.. will try to see if I can spot it in the shops. Your website looks great with the photos.. but the text is out of place.. on my screen.. might just be me though. Good luck with your swatch and oh did you get your new to you knitting machine then? What a lovely shawl! Really beautiful. The website looks great with the photos on the front page. I see you've added some more yarns and of course I'm tempted again. I like being able to see easily what new things you've added too.Also it's handy to have the sale items all in one category. No problems with the text on my monitor. I love your new shawl. Pixie, you did a great job with the knitting! Congratulations! The shawl is gorgeous. Hope your back is better now.